Posted on December 17, 2017 by Sabrina C.
As the winter season falls upon us, we are reminded to carry with us the spirit of giving, to cherish close relationships and spend time with those who make us happy. However, we aren’t reminded of the most dreaded aspect that arrives with the close of a year. Finals. They spring into our busy high school lives, blocking us from feeling any sweet relief of the holiday season. Drowning in papers and homework and tests, we are forced to put all of our energy and attention on our grades and lose focus of what this time of year should really be. A time of happiness, a time of relaxation, a time to appreciate the beauty of life. But with everything at school happening at once, it’s extremely difficult to maintain that positive perspective. Maybe people choose to use the holidays as a goal to finish the year strong, or a distraction when those goals aren’t met. Either way you choose to look at it, December will always be one for mixed feelings. Not only does school hold onto us a burden of unbelievable stress, but when it comes time to finally put down our pencils and textbooks and plan for the holidays, the challenge of shopping brings up even more anxiety. What should I give this person? If it’s too expensive, do I have to get them a gift? What if mine isn’t personal and thoughtful enough? Or what if it is? Many questions arise over many weeks of planning until it’s too late to think anymore and the motivation for perfection is gone. If you can, make this holiday season one of peace and happiness to enjoy the festivities and let go of the year’s hardships. Posted on December 13, 2017 by Jessica T.
This is not a book review or a movie review; it’s not a response to a writing prompt. Instead, I wanted to type up my opinion on a subject that’s been heavily impacting my life, my friendships and my heart. No matter how much statistics prove how deadly and negative drugs and alcohol impact lives, people repeatedly run to substances as sources of fun, escape and stability. While a wild night provides thrill and serves the adrenaline that many feed off of, one mistake can prove to be deadly and detrimental. Problems never become solved, but instead are drowned in liters of alcohol and burnt by blunt after blunt. Still, they resurface, hurting even more and provoking another urge to dive into trouble and substance use. If one truly reflects, substance abuse truly cannot provide any permanent comfort or safety. So then, I wonder, why do I seem to keep losing friends and hearing stories on the news of continuous substance abuse? It’s a harsh pang in the heart to hear and see how many lives substances have hurt. Personally and thankfully, my family life has always been drug and alcohol free but for many, I know substance abuse is strongly prevalent. Therefore, this leads to physical abuse, neglect, financial instability and so many other outcomes that trickle down and hurt too many lives. And that is downright unjust. Too many children lack parental love and guidance, too many students lose best friends to unpromising danger. This is the darkness of the world that needs to be addressed and cleared. Life was meant to be lived beautifully and purely. Drugs and alcohol work to distort that truth and they lie to users, tempting them to believe that life is falsely colored. But true, vibrant colors are seen in so many other aspects of this world. From the pink and orange hues of sunsets to the bright light radiated by the smiles of laughing couples, from the earthy foliage of autumn to the crisp ivory of snowfall. This world offers us so much. There are roads to be driven on, oceans to be swam in and people to be talked to. Why confine yourself to the limited world of partying and intoxication when you can release yourself to the peaceful realm of adventuring and growing? With free will, why sell yourself short to a life confined to the vicious wheel of unconscious, reckless living? Just a little food for thought . . .
Posted on November 27, 2017 by Katharine L.
Turkey, breaded stuffing, cranberry sauce, gravy, mashed potatoes, and apple cider? Sound familiar? You got it. The meal of Thanksgiving is a hearty one, shared with friends and family. You know the star of the meal, the turkey, but have you ever wondered how the first ever Thanksgiving was celebrated? It was nothing like the one we have today, that’s for sure. You’ve probably heard of the Pilgrims, traveling across treacherous oceans on the famous Mayflower to reach Plymouth, escaping from religious persecution. It all started in 1621, when the Plymouth colonists and Wampanoag Indians shared an autumn harvest feast that is acknowledged today as one of the first Thanksgiving celebrations in the colonies. For more than two centuries, days of Thanksgiving were celebrated by individual colonies and states. It wasn’t until 1863, in the midst of the Civil War, that President Abraham Lincoln proclaimed a national Thanksgiving Day to be held each November. First off, turkey wasn’t the bird of choice for the first Thanksgiving meal. It is suspected by researchers that duck, geese, swans, or a now extinct bird named passenger pigeons would be the main wild bird of choice. It is possible that the birds were stuffed, though probably not with bread. The Pilgrims instead stuffed birds with chunks of onion and herbs. In addition to wild birds and deer, the colonists and Wampanoag probably ate eels and shellfish, such as lobster, clams and mussels. They had a well-balanced diet, with chestnuts, walnuts, and beechnuts. They also grew beans, pumpkins, and squashes. All this, naturally, begs a follow-up question. So how did the Thanksgiving menu evolve into what it is today? Sarah Josepha Hale, editor of the popular women’s magazine Godey’s Lady’s Book, was a leading voice in establishing Thanksgiving as an annual event. She is also famous as the author of the nursery rhyme “Mary Had a Little Lamb.” Beginning in 1827, Hale petitioned 13 presidents to make it a national holiday. Finally, she pitched her idea to President Lincoln as a way to unite the country in the midst of the Civil War. In 1863, he made Thanksgiving a national holiday, a day to give thanks. Throughout her campaign, Hale printed Thanksgiving recipes and menus in Godey’s Lady’s Book. She also published close to a dozen cookbooks. Hale is readying women to accept the idea of Thanksgiving, and instructing them what to cook. And the Thanksgiving food that we think of today — including roast turkey, creamed onions, mashed turnips, even some of the mashed potato dishes? You can find them in her cookbook. Posted on November 21, 2017 by Brooke H.
Blinking lights, ringing bells, the “Ho, Ho, Ho” of a jolly old man in a red suit. These are little reminders that the holidays are finally here. Christmas is a magical time that gives you a warm feeling every time you think about it. I understand the excitement and joy of Christmas, but should we ignore Thanksgiving all together? Thanksgiving is a joyous holiday when you get together with your family and say what you are thankful for. 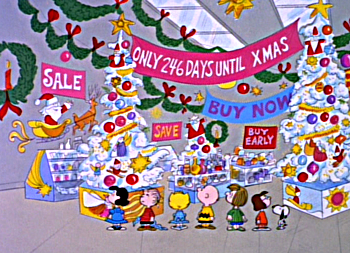 Nowadays, many are already in the frenzy of Christmas even before the turkey has been served. Years ago, stores and shops were closed on Thanksgiving, allowing families to enjoy their time together. However, in 2017 so many stores are now open, even on this special holiday. While families do still sit down at the dinner table to eat turkey and mashed potatoes on Thanksgiving, most do not fully enjoy and understand the meaning of it. It is a time when relatives make it a point to fly home from out yonder just to sit down for one meal. It’s a time when families can be grateful for the plentiful food on their table. It’s a time when you can sit back, relax, and enjoy the time you spend with your family. There is a whole month after Thanksgiving to put up decorations and get ready for Christmas, so put your ornaments away and give thanks to those around you. Posted on October 24, 2017 by Leann D.
In September of 2012 my mom was diagnosed with breast cancer. It started off as Stage 2 and was told it could be cured through treatment known as chemotherapy. Months had passed and although the radiation was harsh, she would show nothing but strength and determination to defeat her illness. Right when we believed things were getting better it took a turn for the worse and not only had her cancer increased, it had also metastasized to her ribs, her lungs, and eventually her brain. I lost my mother on October 4th, 2015. Such a beautiful soul had finally been released to Heaven where she belonged after her excruciating battle with cancer. Since I was young, I had absolutely no idea on how to cope or even think about the future knowing my mother was no longer going to be apart of it. 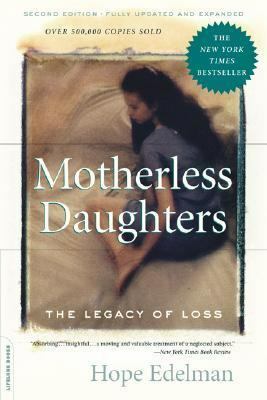 Believing nobody could understand the pain and loss I felt, I turned to no one for advice or comfort, until I came across the book Motherless Daughters by Hope Edelman. It explains stages of coping and all feelings tied with losing such an important part of your life. A mother’s nurturing hand shapes a woman’s identity and Hope Edelman guides us to acceptance and healing. Motherless Daughters by Hope Edelman is available for checkout from the Mission Viejo Library.